Maria Montessori was born on August 31, 1870, in Chiaravalle, in the province of Ancona, from an austere army officer, Alessandro Montessori, and his wife, Renilde Stoppani, an intelligent, modern-thinking woman who influenced and supported her daughter’s decisions, teaching her how to be compassionate by giving her the daily task of knitting for the poo. At elementary school, Maria emerged as a good student but also as a leader in many games. She found the classroom set-up and repetitiveness very boring but this did not keep her from learning a lot. After elementary school she had to ask her parents the permission to continue her studies. Women of her time were not encouraged to go beyond an elementary school education. Her father discouraged her interest in a professional career; her mother, on the other hand, encouraged her ambitions and, when she was twelve, the family decided to move to Rome where it was easier to find better educational facilities for young Maria. Her interest in engineering technology and mathematics led her to enroll in classes at a technical institute by the age of fourteen, but later on her interest in biology led her to decide to study medicine. This was a bold decision in a period when very few women finished their studies. In 1894 Maria Montessori became the first woman to receive a medical degree in Italy, a goal that reinforced her “revolutionary” ideas (for the time) regarding the equality of the sexes. Maria’s first job was as assistant doctor in the psychiatric clinic of the University of Rome, where she had her first contact with children suffering of learning disabilities. She became convinced that the problem of handling these children could be solved not only through medical treatment, but also with appropriate teaching methods. In 1898 she was appointed director of the State Orthophrenic School in Rome, whose function was to care for the “hopelessly deficient” and “idiot” children of the city. Here she reached successful results teaching the children herself, while refining and applying her unique methods, giving birth to the so-called “Montessori method”. In 1901 Dr. Montessori left the school to pursue further studies and research, going back to the University of Rome and pursuing her studies in Psychology and Philosophy. In 1904, she was appointed Professor of Anthropology at the University. She was then asked to open a school for the children from the slum in the district of San Lorenzo, in Rome. 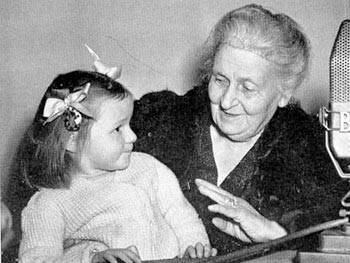 Maria Montessori actually gave up her job at the university and founded a school on the January 6, 1907. She named it “Casa dei Bambini”, House of Children, and hosted sixty kids, from age three to six, all from very poor families. This was the first of her schools that are now spread all over the world. It was there that she found the inspiration for her philosophy and discovered that children teach themselves: a simple yet intense observation that is at the basis of her educational reform methodology, psychology, teaching and teacher’s training. She had already successfully experimented some of her theories with children suffering of learning disabilities and thought to try the same educational methods with normal children. She used what she called a “prepared environment” to provide the best atmosphere for learning, furnishing the class with small chairs and tables instead of rows of desks. The basic features of the method are the development of the child’s natural curiosity through responsible and individual freedom of behavior, improvement of the sharpness of the five senses (hearing, seeing, tasting, touching, smelling) through training, and the development of body coordination through games and exercise. The function of the teacher is to provide educational material, such as counting beads or geometric puzzles, and act as an adviser and guide, staying in the background as much as possibl, preparing and arranging a series of learning opportunities which each child can move through instinctively. 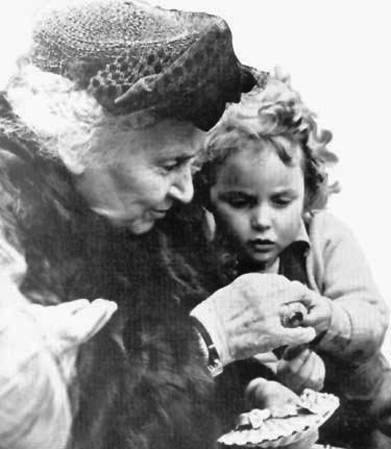 Maria Montessori’s observation of children led her to identify in them a series of “sensitive periods” with “creative moments”, when they show spur-of-the-moment interests in learning. It is at those moments that children have the greatest ability to learn, and these periods should be used to the fullest so that the children learn as much as possible. They should not be held back by forced, rigid curricula or classes. Work, according to Maria Montessori, is its own reward to the child, and there is no necessity for other rewards. The freedom of the learning environment creates, naturally, self-discipline. Her work with the poor children of San Lorenzo was fruitful and incredibly creative. These children were so poor and yet so eager to learn and begged for more. They were fascinated by numbers and were adding four and five digit numbers at the ages of four and five. Their enthusiasm was so great that Dr. Montessori spent many nights awake making new learning tools for them. Her style of mathematic blocks and tiles are still in use today. By the year 1917 she had caught the interest of many education reformists and enthusiasts who understood the importance of her philosophy. Such a success led her and her followers to establish similar institutions to the “Casa dei Bambini” in other parts of Europe and in the United States, where the first Montessori school was established in Tarrytown, N.Y., in 1912. 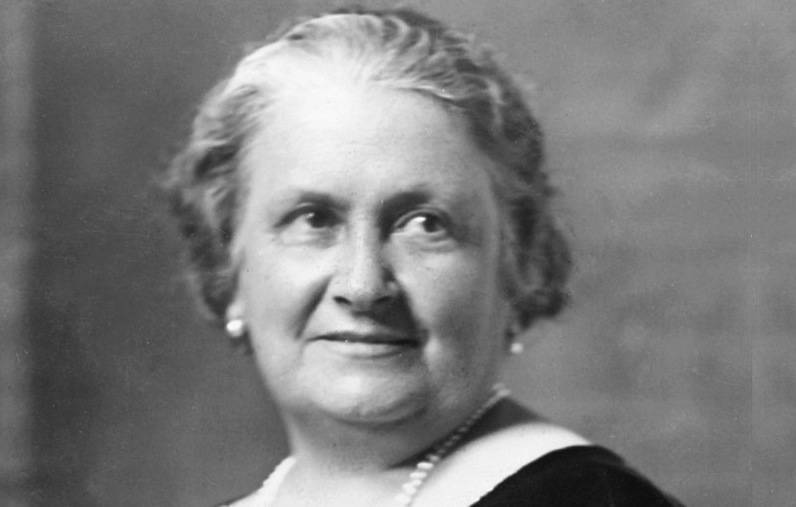 In 1913 Maria Montessori visited the United States for the first time. She had strong support from Alexander Graham Bell and his wife Mabel, Thomas Edison, Helen Keller and Margaret Wilson, the daughter of U.S. President Woodrow Wilson. In her lecture at New York’s Carnegie Hall she concluded with these words: “The development at which I aim includes the whole child. My greater aim is the prospective perfection of the human race.” Maria Montessori returned to the States in 1915 and set up a glass-enclosed classroom at San Francisco’s Panama-Pacific International Exposition. Thousands of people from all over the world came and observed her teaching method during the four months of the exhibit. 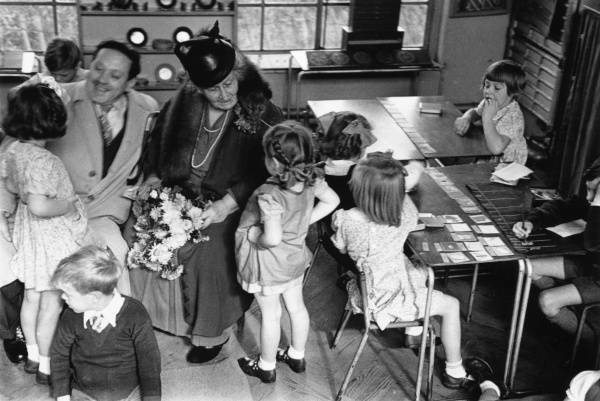 When awards were given, the Montessori class won the only two gold medals for education. 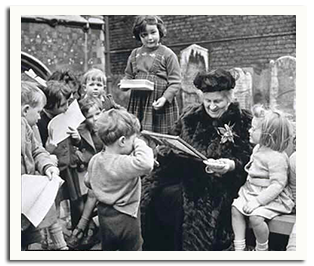 Maria Montessori’s work lives on and her influence can be seen today in many early childhood educational programs. Today there are over 7,000 Montessori schools worldwide. Erica Moretti is a candidate for the Ph.D. in Italian Studies at Brown University. Before coming to Brown, she completed her Italian "laurea" and a Diploma in American Studies at Smith College engaged in research projects on pedagogical methods designed to assimilate Italian immigrants in the United States. Her dissertation is on Maria Montessori. Suzanne Stewart-Steinberg, Ph.D., is the Acting Director of the Pembroke Center for Teaching and Research on Women and Associate Professor of Italian Studies and Comparative Literature at Brown University. She has written and published widely on Italian culture, her latest book being The Pinocchio Effect: On Making Italians 1860-1920, with the University of Chicago Press (2007), which won the Modern Language Association's prestigious Aldo and Jeanne Scaglione Award for Best Manuscript in Italian Studies (2006). RSVP 212.642.2094. Free and open to the public. The John D.Calandra Italian American Institute, Queens College, is a university-wide research institute of the City University of New York, dedicated to the history and culture of Italians in the United States.